A place to discover new, current and old sounds.. Listen to monthly playlists HERE! 2019 MONTHLY PLAYLISTS- LISTEN HERE! 2018 MONTHLY PLAYLISTS- LISTEN HERE! 2017 Monthly playlists – LISTEN HERE! 2015 Monthly playlists – LISTEN HERE! The Listening Post’s online record shop! 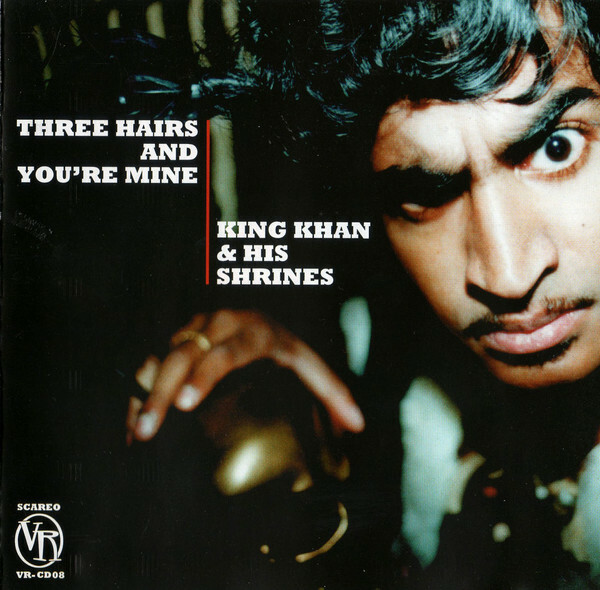 Canadian born and now Berlin-based, Arish Ahmad Khan, aka King Khan is the impressive front man of King Khan and the Shrines, also referred to as King Khan and His Sensational Shrines. His music, which blends together psychedelic soul, garage rock and doo-wop, is sometimes soft and crooning, whilst other times it is loud and roaring, but one thing’s for certain, there is never a dull moment with Khan!…I think he would be great to see live, that I must do one day! Today’s song is titled Que Lindo Sueño (which I think translates to Beautiful Dream) and first appeared on Khan’s 2001 second full-length album, Three Hairs and You’re Mine. Gliding along to a cracking bossa nova beat and gorgeous bass-line, Khan’s suave voice is the cherry on this very yummy musical cake and this track encapsulates perfectly the sound of King Khan which I am growing so fond of! Check it out above. Other King Khan tracks that the LP has featured and can highly recommend are, Shivers Down My Spine (also featuring on Three Hairs and You’re Mine), Children of the World, Never Hold On, and That Boy Is Mine. The Listening Post Blog - A place to discover new sounds, where the music speaks for itself.. This entry was posted in Alternative rock/blues, Doo-wop, Garage Rock, Psych rock, Psychedelic, Psychedelic soul, R&B, Soul and tagged Doo-wop, Garage Rock, Psychedelic soul, rock'n'roll. Bookmark the permalink. A place to discover new sounds, where the music speaks for itself….